We offer children and families a variety of mission and outreach opportunities throughout the year. 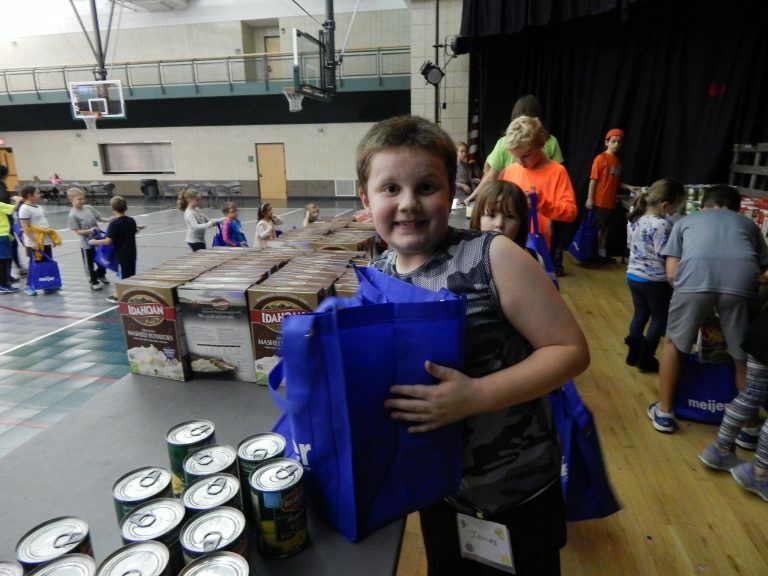 Sunday School children are also invited to participate in church-wide mission projects such as the CROP Walk and Angel Tree. 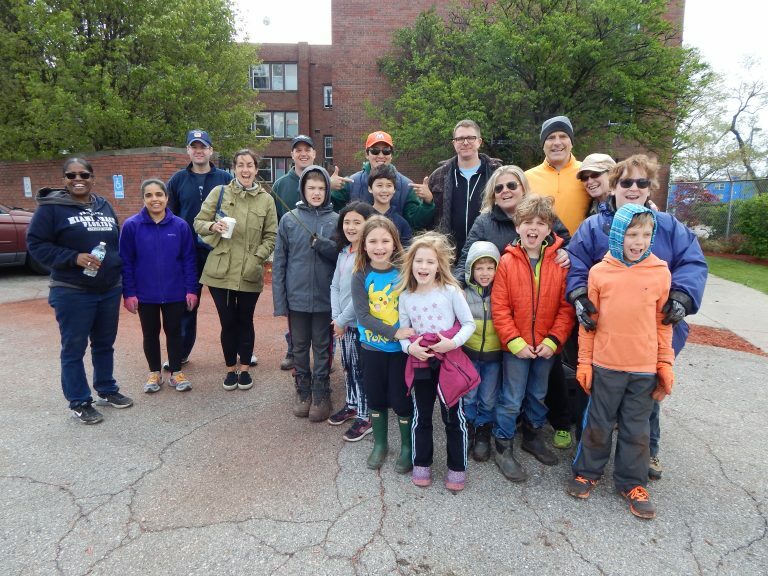 Families with children gather to make sandwiches, prepare hot lunches, ride bikes to generate energy, shred paper or beautify the green space. Even the youngest family member can do something to help! 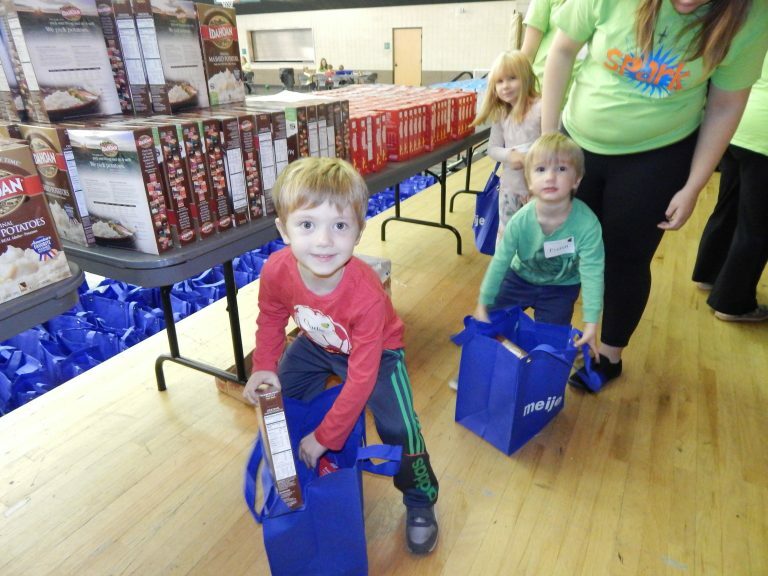 Babies, preschoolers and elementary children and their parents prepare holiday cards, crafts and snacks, sing songs and visit with elderly friends at local assisted living facilities several times a year. Share your pets with assisted living residents and get to know someone who is at a different stage of life. Sharing our pets with others is one way of thanking God for His gift. Puppy Love is for elementary through high school (with parents) and any other pet owners who may like to join us! 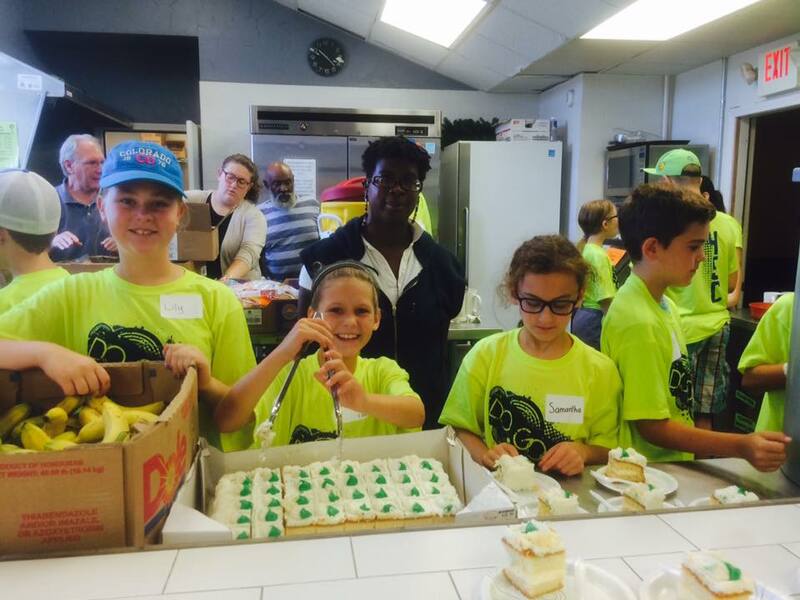 Fourth and fifth graders have the opportunity to learn about their faith by participating in a mission trip. Through Group Workcamp’s Week of Hope, children and adults from our church join with groups from across the USA to work on projects and grow in their faith. 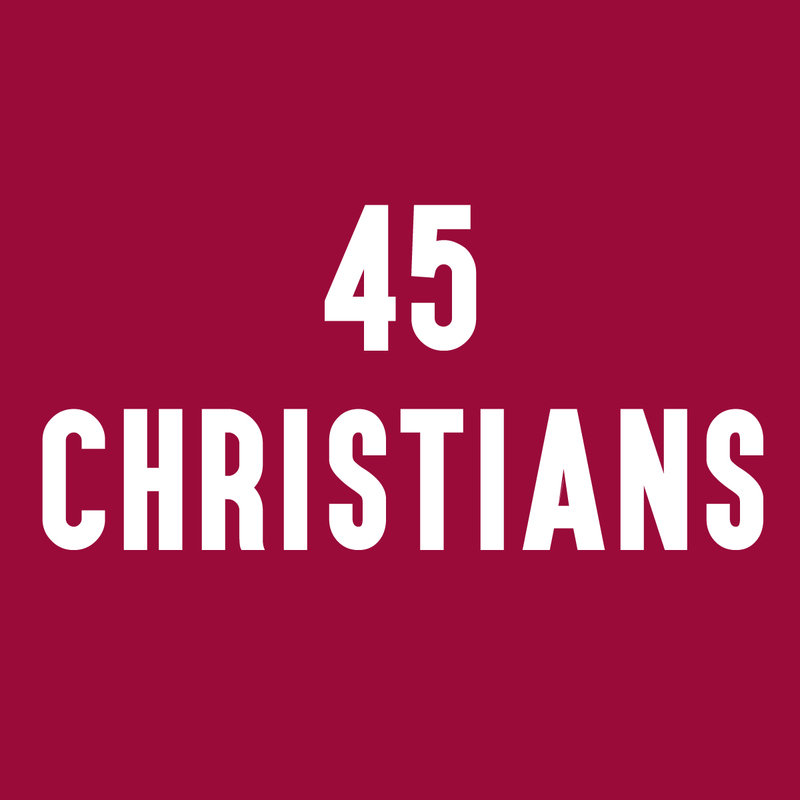 45 Christians is a fellowship group for 4th and 5th grade students.